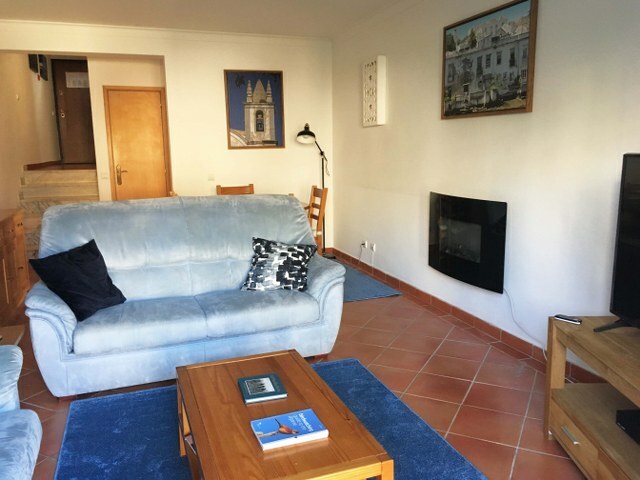 BEST PRICE GUARANTEE Quinta do Morgado - Monte da Eira, house to rent with communal pool in TAVIRA on charming country estate. Two bedroom end of terrace house with private garden and communal swimming pools on charming country estate. Location: Quinta do Morgado, Monte da Eira - Tavira. Description: Two bedroom end of terrace house with private garden on charming country estate with beautiful landscaped gardens and many old olive trees. Guests may use the swimming pool facilities and sun loungers free of charge. There are two pools (one for small children and toddlers), outside showers, bathrooms, a pool bar for refreshments and an excellent restaurant with bar 70 meters away from the property. 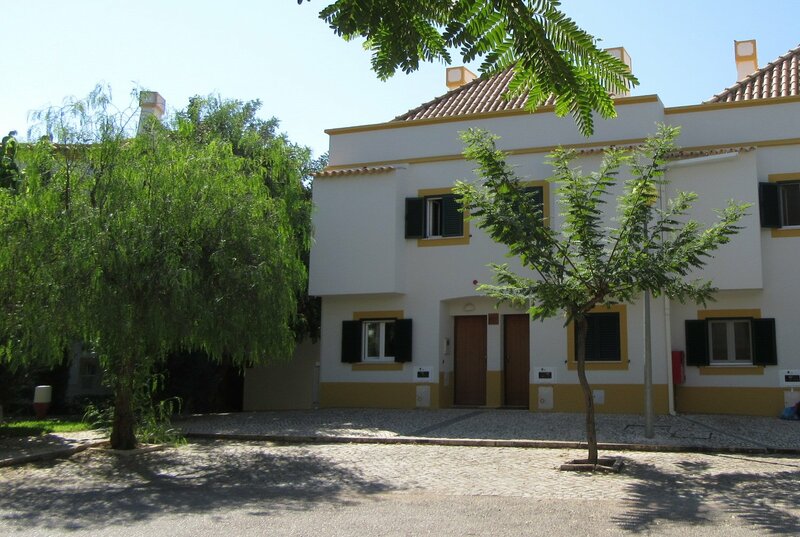 The house is located in a cul de sac and within walking distance to the old roman bridge in the center of Tavira (1600 meters). 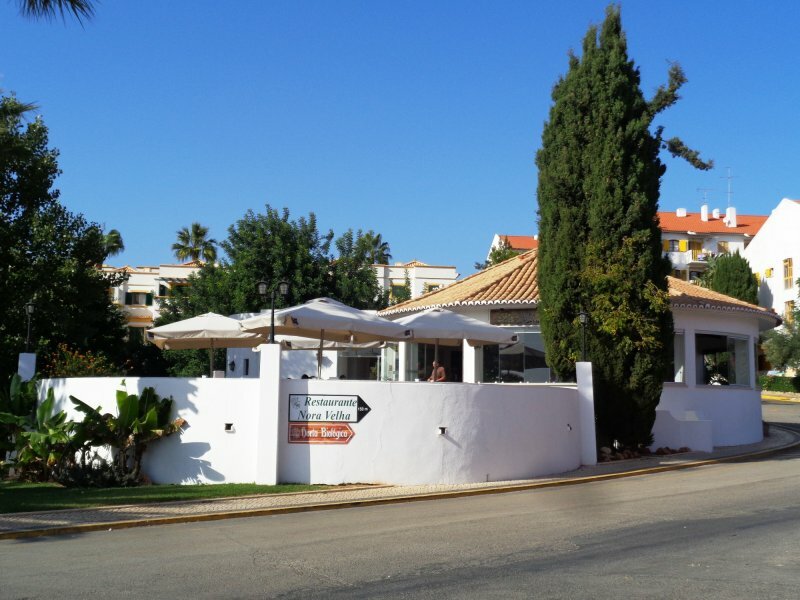 It's an ideal place to stay and to use as a base to explore the many beautiful beaches, water sports and the golf courses near by. The nearest 18 hole golf course is 1,5 kilometer down the road called Benamor Golf. It is very easy to lose track of time in Tavira, a lovely old town where time stood still. You can spend hours strolling the charming cobblestone streets with it's many restaurants, shops, bars and terraces to enjoy a refreshment in the sun. The old palace in the center of town is now renovated. There is a very nice restaurant next to it called 'A Ver' with beautiful views of the historical center of Tavira, the river Gilão and the sea. The beach of Ilha de Tavira is a must and has many small restaurants. This is a very nice destination all year round, away from mass tourism. During the summer months there is a boat ferry from the center of town, opposite our office, going to Ilha de Tavira and Quatro Aguas. The nearest supermarket Minipreco is virtually on the doorstep of this well maintained complex. In addition, from the Quinta do Morgado - Monte da Eira complex it is only 150 meter to the commercial shopping centre Gran Plaza where you can find many shops, a very large supermarket and movie theaters. The accommodation is well presented and is full of light and has a simple Mediterranean ambiance. The house consists of a hallway leading to the living room with dining area and lots of light, a modern kitchen with granite worktop (electric hob, microwave oven, fridge/freezer, dishwasher, washing machine, toaster, coffee machine) with granite worktop, two double bedrooms with built in wardrobes and two bathrooms (one with shower/one with bath & shower). Living room with sofa bed. 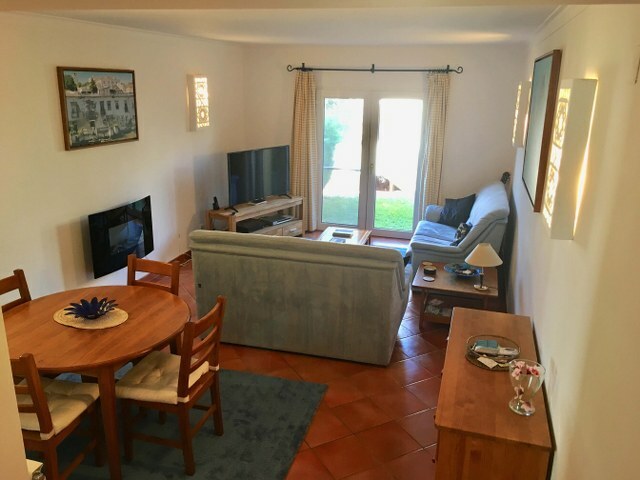 Access from the living room onto a private garden with lawn in addition to a spacious private roof terrace with table and chairs from where you have views over Tavira towards the sea. This property benefits from air conditioning and double glazing in addition to the charming location and mature landscaped gardens on the complex, a tennis court, a restaurant, bar and pool bar. There is a TV in the living room with a broad range of international TV channels. 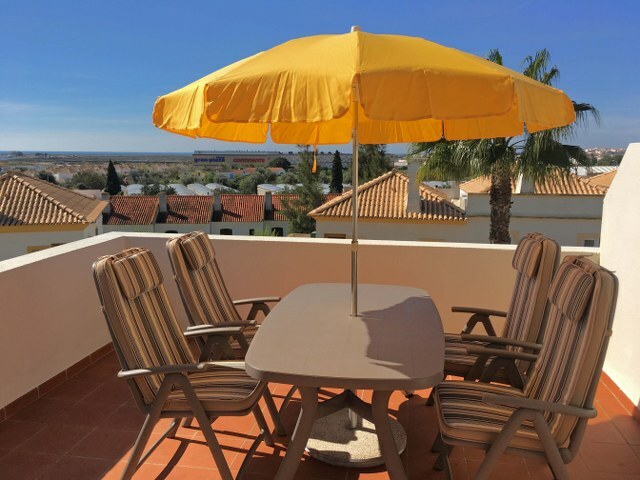 Distances: Faro: 30 km; Boat ferry to beach: 2 km; Beach: 2.5 km; Nearest restaurant and bar: 50 mtr; Supermarket: 50 mtr; Train station: 4 km; Golf : 1,5 km; Spain: 28 km.